RAFFLE: Deadline to enter the Raffle is June 1st by 5pm! On June 2nd at 6pm in Lillis 112 the Raffle for the Beats Headphones, Gift Cards and other items will take place! There will be free food, free snacks, drinks and we will be making UO Stress Less Kits! Join us as we raffle off these items as away to thank you for your SUPPORT! The dialogue is still not over but we are making strides in the right direction! UO Active Minds in the News! Check out the video that aired on KVAL! Or read the story at KEZI or The Daily Emerald! UO Active Minds is the only organization at the University of Oregon utilizing the student voice to change the conversation about mental health on campus. We work to increase students’ awareness of mental health and serve as a liaison between students and the mental health community by providing information and resources, encouraging students to seek help as soon as it is needed, and bringing students and staff together through events that promote positive mental health. 1. To convince and prove to the administration of the need of providing essential phone numbers of campus resources to all students. By having them printed in the back of ALL newly issued student ID cards beginning Fall 2014 or sooner. 3. To continue the Universities mission of reducing the impact on our environment and use existing infrastructure to create the most positive impact on campus. UOAM will need student support from several students just like YOU! We will need your help and support to get this initiative passed through the administration. So we may gather more information regarding the services that students are using we have began taking surveys from students at the University of Oregon. These surveys ask students 3 questions in regards to the services that YOU use at the University. The responses are kept confidential and cannot be tied to a particular person, these surveys are available via email, in person or online. 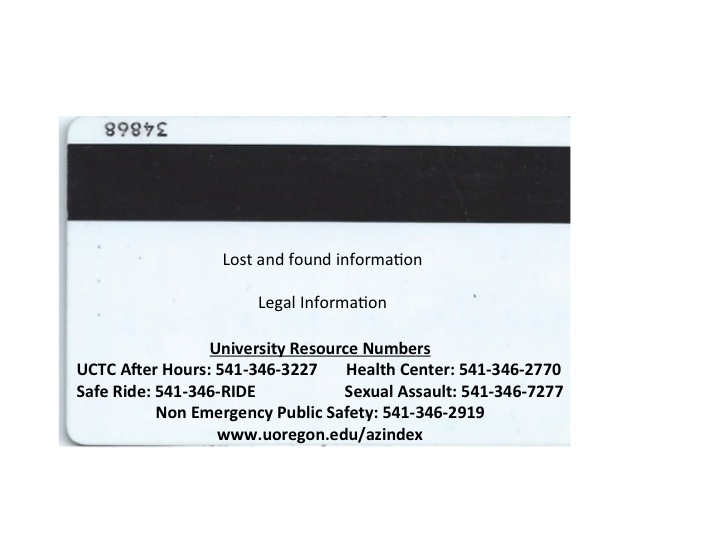 Our proposed change is to go from a blank card to one which includes phone numbers that provide and promote student safety. 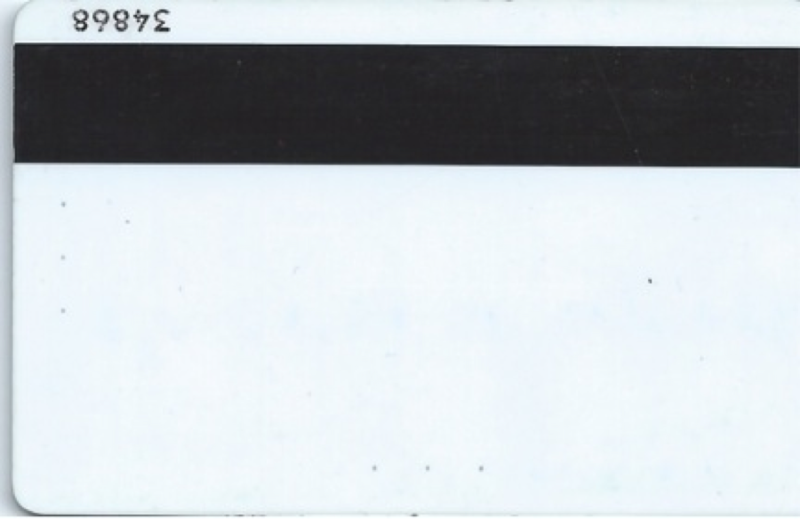 The final student ID card may look differently from those shown here, as we continue to work with the UO Card Office, Click on the image to see the proposed change. Follow us on social media, find out when and where we are tabling to do a survey in person! *UO Active Minds has the right to cancel the raffle without notice at any time, your odds of wining depend on how many students submit their completed raffle tickets. YOU must be in attendance to win, and have a valid student ID to claim the prize. If you have any further questions or concerns please email us.